Blackberry and Baidu have announced that they will be teaming up to work on the development of connected and autonomous vehicle technology. 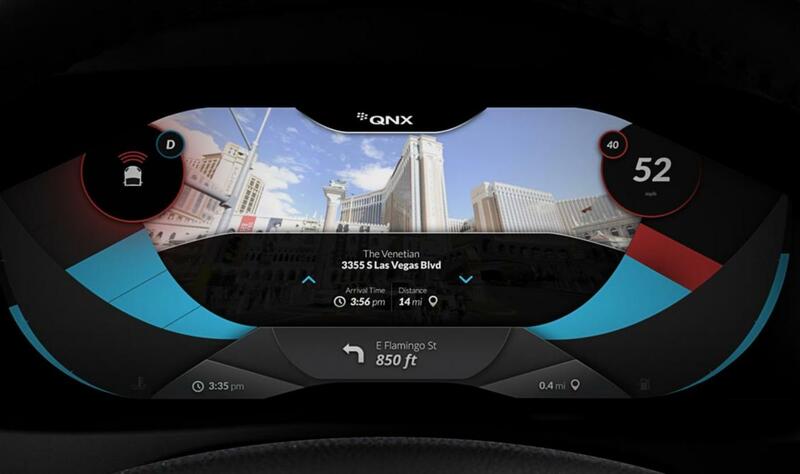 The two companies have signed a statement of intent according to which the QNX safety operating system (OS) from BlackBerry will serve as the base for Baidu’s Apollo autonomous driving open platform. They will also collaborate on integrating Baidu’s CarLife, smartphone integration software for connected cars, its conversational AI system DuerOS, and high-definition maps into the BlackBerry QNX Car (Infotainment) Platform. Commenting on the collaboration, Li Zhenyu, general manager of Intelligent Driving Group, Baidu said that Baidu BlackBerry QNX has established itself as the OS platform for safety-certified production-based systems. As an outcome of the collaboration, the companies will expedite the development of a fully autonomous vehicle production system for automakers and OEMs. Automakers can easily move from prototype to production systems by integrating the BlackBerry QNX OS with the Apollo platform, we will enable carmakers to leap from prototype to production systems. The collaboration between Baidu and Blackberry will involve the development of a technological and commercial ecosystem for autonomous driving, intelligent connectivity and intelligent traffic systems. John Wall, senior vice president and general manager of BlackBerry QNX said that joining hands with Baidu will allow Blackberry to explore integration opportunities for multiple vehicle subsystems including ADAS, infotainment, gateways and cloud services. Baidu has made significant achievements in the fields of artificial intelligence and deep learning and when these are combined with Baidu’s high-definition maps and BlackBerry’s safety-critical embedded software and expertise in security, autonomous vehicles will soon become a reality. Apollo is an open platform that Baidu launched last April comprising cloud services, an open software stack and reference hardware and vehicle platforms. Apollo has the capability to support all major features and functions of an autonomous vehicle and has attracted over 70 global partners, including OEMs, Tier 1 suppliers, developer platforms and technology start-ups. The project was called “Apollo” after the historic lunar landing program due to its scale and complexity. Blackberry is the market leader when it comes to secure, reliable and safety-certified software for the automobile industry. The company provides OEMs around the world with state-of-the-art cybersecurity technology in order to protect and minimize the effects of cyberattacks on hardware, software, applications and end-to-end systems.